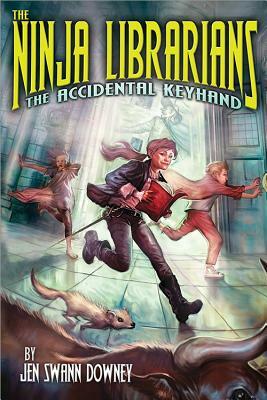 When Dorrie and her brother Marcus chase Moe-an unusually foul-tempered mongoose-into the janitor's closet of their local library, they make an astonishing discovery: the headquarters of a secret society of ninja librarians. Petrarch's Library is an amazing, jumbled, time-traveling secret base that can dock anywhere there's trouble, like the Spanish Inquisition, or ancient Greece, or...Passaic, New Jersey. Dorrie would love nothing more than to join the society, fighting injustice with a real sword But when a traitor surfaces, she and Marcus are prime suspects. Can they clear their names before the only passage back to the twenty-first century closes forever?